For the seventh consecutive year, Pierce – The American College of Greece is offering the Pierce e-tutoring online program. 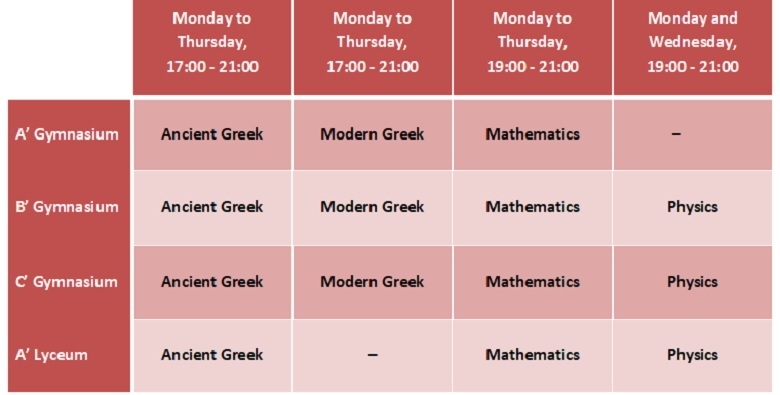 This is a unique program of online student support in Greece and is available to Gymnasium and A Lyceum students of Pierce – The American College of Greece. The program for this school year will begin on Monday, October 1, 2018 and will end on the last day of the examination period in June 2019, on the day of each respective written exam. We urge you to support e-tutoring and to encourage your children to take advantage of the program as much as possible. Our aim is to support our students’ learning. In the context of the pilot program (2012 – 2013 school year) and its implementation over the next three school years (2013-14, 2014-15 και 2015-16), the e-tutors conducted two studies and collected a great deal of quantitative and qualitative data, which they used to write a scientific paper for an international journal, which was presented at conferences. Vakerlis, G., & Doukakis, S. (2014). The inclusion of e-tutoring programs in Greek education. The PIERCE e-tutoring online program. At the 6th Conference, Informatics in Education (6th CIE2014). Corfu. Doukakis, S., Chira, Th., Michalopoulou, G. & Koutroumba, K. (forthcoming in 2014). 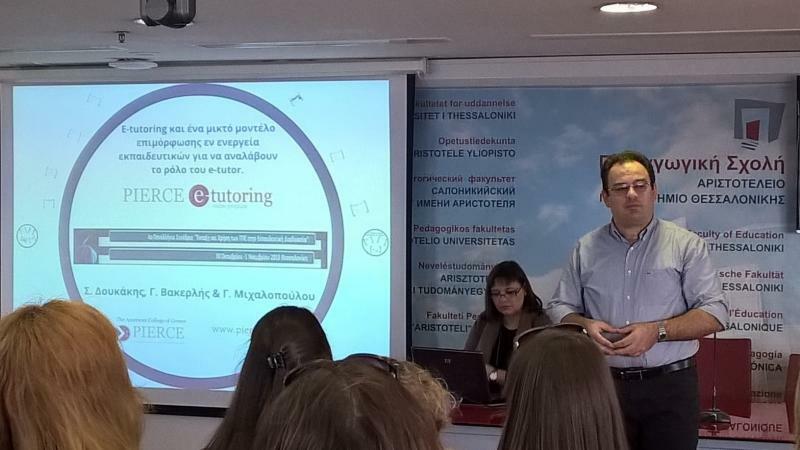 The inclusion of e-tutoring programs in Greek education. The case of the PIERCE e-tutoring online program. At the 5th International Conference, International and European Trends in Education: Their influence on the Greek educational System. Athens. Vakerlis, G. & Doukakis, S. (2014). PIERCE e-tutoring online program: A proposal for supporting students in a time of crisis. One-day conference on: Education in a time of crisis, March 22, 2014, The American College of Greece, Athens. Chira, D., Michalopoulou, G., Doukakis, S. & Kountroumba, K. (2014). PIERCE e-tutoring online program, 2nd conference: Academic Excellence and Talent, Innovative Practices in Personalized Learning, March 15, 2014. Vakerlis, G. & Doukakis, S. (2014). The inclusion of e-tutoring programs in Greek education. The PIERCE e-tutoring online program. In N. Alexandris, Ch. Douligeris, P. Vlamos & V. Belesiotis (Ed.). 6th Conference on Informatics in Education 2014, Computer Science in Education, (pgs. 680-689), Corfu. Doukakis, S., Vakerlis, G. & Michalopoulou, G. (2015). E-tutoring and a mixed training model for active teachers to take on the role of e-tutor. In V. Dagdilelis, A. Ladias, K. Bikos, E. Drenogianni & M. Tsitouridou (ed.). Minutes of the 4th Panhellenic Conference “Inclusion of Information Technologies in the Education Process,” Thessaloniki. a Gymnasium Student: I overcame my concerns about mathematics and now I feel more confident. b Gymnasium Student: It helped me unbelievably! I managed to get a 20 on my June exams. Thank you! A Lyceum Student: Thank you for the wonderful experience I had this year. It was an excellent program. Parent of b Gymnasium student: Congratulations. In an adult way, my son chooses when to use the program. This is very important to us. Parent of g Gymnasium student: The skills our children acquire are above and beyond the daily school routine. Parent of a Gymnasium student: This makes great use of digital tools. You are creating the citizens of the future. University Professor: Truly excellent. It reminds me of the efforts made in the USA for teachers to enter the homes of African Americans. This is what you are trying to do. The teacher is entering the digital world of students. And you do it beautifully.